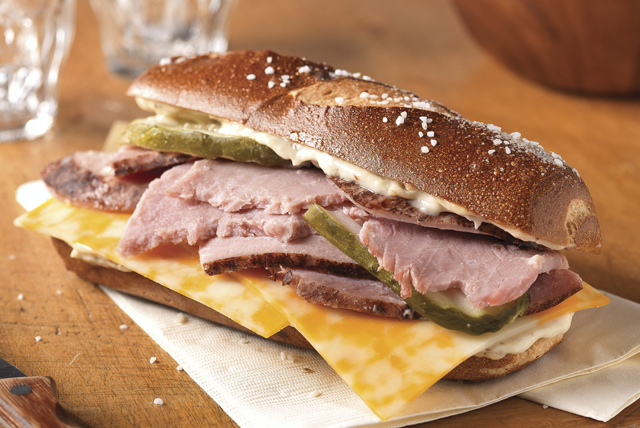 Pretzel bread and slow-cooked ham make for a sandwich you'll want to lift with two hands. Spread cut sides of roll with aioli. Pack this recipe with fresh fruit and fat-free milk for a great take-to-work lunch. Substitute a 5-inch piece of Italian bread for the pretzel roll.